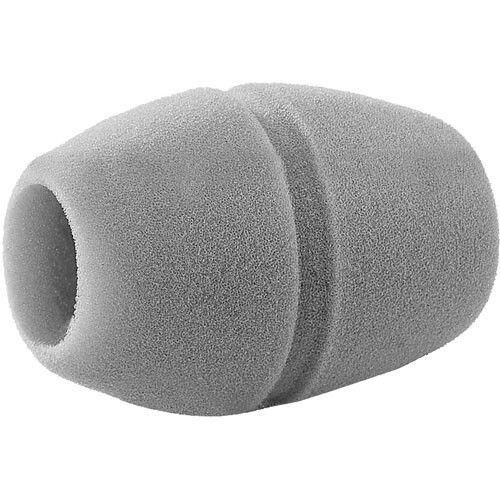 Grey foam windscreen fits all Evolution Series handheld microphones. MZW4032 Gray Foam Windscreen is rated 4.5 out of 5 by 2. Rated 4 out of 5 by Bay Area Tech Professional from Good Product, Decent Price If you have it in your budget, this mic accessory is a must have. I use it with my MD 42 Sennheiser stick mic. Professional look and feel. It says that it is grey, but I can only find photos of black ones and when I bought one from a different retailer I got black with the same model number.Is it actually grey?Also how is this different from the MZW 1? The MZW4032 is a gray windscreen. The MZW4032 also available as MZW4032-A (anthracite/black) and MZW4032-C (Blue). Neither available here at B&amp;H. The MZW-1 is similar, however does not include the center groove for the colored identification rings that are included with this model.